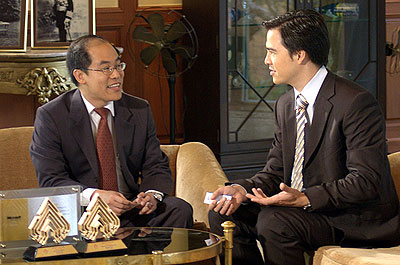 Pongsaya Hongswaddhi, Managing Director of ThaiQuest Limited, gave an interview with Kipsan Beck in “Morning Talk” on channel 11 to describing about how ThaiQuest Enterprise Search, the Thai full-text search engine, was invented to answer to the huge demand within the country together with the company background, recently won award from Thai ICT competition “Thailand ICT Awards 2007” and other interesting technologies by Thai IT Company. ThaiQuest Search has gained popularity among users in terms of relevancy and accuracy both in Thai and English. The system can also be furthered applied to create a large variety of applications not only information or documentation search within the organization but also other information search within website. Recently, ThaiQuest Enterprise Search won a runner-up award from Thailand ICT Awards 2007 (TICTA 2007) under Application and Infrastructure Tools. 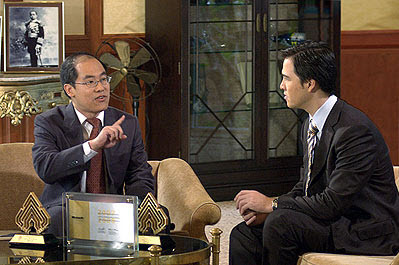 Tune in for the interview on channel 11 in “Morning Talk” to be on-air on this November 16, 2007 at 08.00.